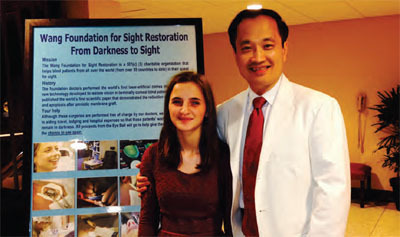 “Nonprofit foundation gives poor the gift of sight”, By Ming Wang, MD, PhD, December 2011, Tennessean. Click here to see the TBN program broadcasted on Friday, 4/30/2010, 9-11pm. It is a heartwarming story, featuring a blind patient who could see again and Dr. Ming Wang.